Girls in Tech Helsinki Mentoring Program is a 6 month intensive program designed to inspire, encourage and support young and capable women to become leaders in their teams and achieve their goals while improving and developing their skills. Our Mentoring Program is open to anyone interested in building and developing existing skills under the guidance of experienced and professional mentors from the technology and business industries. For our first Mentoring Program, we will select 11 mentees that will be matched with 11 high profile mentors. Minna Blomqvist has been leading Human Resources in Energy Solutions division at Wärtsilä since 2010. 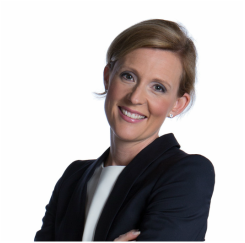 Prior to Wärtsilä she has worked for global high tech and consultancy companies as a driver for various change initiatives and projects. She has wide experience varying from application and process development and deployment to organizational design and leadership. Minna has also been working with Diversity Initiative at Wärtsilä. This topic is very close to her heart and she would like to see more female professionals interested in pursuing their careers in technology industry. Saija Mahon is the founder of Mahon Digital Marketing Ltd, an international, award-winning digital media agency that helps growing global businesses to achieve their sales targets by utilising advanced technologies and strategical tactics in the ever expanding online environment.After working for some of the biggest global media houses in the world, Saija decided to launch her own business 6 years ago, starting her journey as an entrepreneur from London, UK. Mahon Digital Marketing specialises specifically in biddable media, website optimisation, search engine optimisation, content marketing, social media optimisation and PR activities, and currently employs 14 people in total. Pia Erkinheimo joined Fingertip, a Finnish-origin b2b app provider for organizations in crowdsourced decision-making, as an angel investor and business development in Fall 2015. Before that she worked for almost 3 years at DIGILE, the Finnish Strategic Centre for Science, Technology and Innovation in Internet Economy as Head of Crowds and Communities. 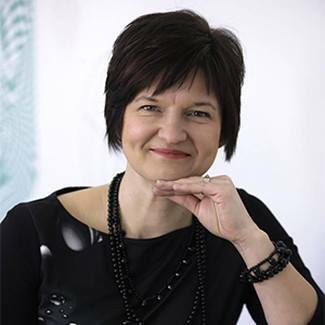 She is a member of FiBAN, Finnish Business Angels Network and contributing currently to 7 start-ups as either as an advisory board member or an investor. Pia also worked five years for Nokia, e.g. as Head of Innovation Crowdsourcing and at Nokia Strategy, and before that at Capgemini as Senior Consultant in M&A and human capital management. The European Commission has used her R&D&I expertise and as a Rapporteur of the OISPG, Open Innovation Strategy and Policy Group. Pia joined the internet-economy as a student in turn of the millennium when she worked in several SMEs in multimedia eLearning and mixed reality industries. Petteri has a very long Nokia (mainly networks) background where he started as a SW designer and mainly did then roles like project manager, product manager, and line manager. Since then he has been in a start-up trying to get financing and customers and doing anything needed to make the company successful. The company is alive, but he had to leave when they ran out of money from public funding. So he has seen the company almost die and then rise.He has always been in technology companies, managing people and products, mainly software development teams. During her career Kaisa has acquired a thorough senior management experience in supply chain, restructuring, procurement, purchasing, manufacturing, product data management, organizational development, business transformation, change management, post merger integration, organizing HR activieties, trade management, inventory management and problem solving. Prior to Vaisala, Kaise has worked as Director of Global Logistic at Vacon and Head of Material Execution at Nokia. Leena is responsible of successful integration of Alcatel-Lucent and Nokia Networks’ Sales teams - including the organization design, the offering and pricing processes and other sales processes&tools to ensure business continuity for the new Nokia. Responsible of Day1 readiness for the New Nokia Sales teams. Leena has more than 20 years of experience in the telecommunications and customer operations fields. Senior Full Stack Developer at Rovio Entertainment Ltd.
Marcia has more than 10 years of experience in software industry and currently works as a Senior Server Developer at Rovio Entertainment. She is passionate about learning and helping others to learn. In her free time she is evangelist trying to convert people into coders. Marcia is also an author of a blog that tries to teach the very basics of computer science to people. She volunteers in multiple organisations in order to bring more women to IT. Eva Rio is a service designer based in Helsinki, Finland. 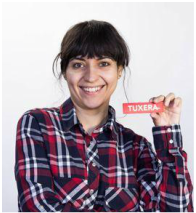 She works as a Product Support Manager at Tuxera Inc., driving forward ideas to improve the user experience of their end-user products and providing input on the design and product development strategy of the company. Eva is also one of the lead organizers of the Finnish Android Association (now known as GDG Helsinki), the largest community of mobile developers in the Nordic countries. The community empowers and coaches students, developers, researchers and organizations in order to improve and develop the mobile ecosystem in Europe. She has run and hosted multiple product development and design-thinking workshops. Eva holds a M.Sc in Service Design and Engineering from Aalto University. 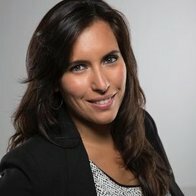 Zeynep is an experienced creative leader, passionate about innovation and human centric design. She has about 15 years of international experience, designing digital services for large companies, such as Nokia, TeliaSonera, Danske Bank and Turkcell. Zeynep has experience in building and managing design teams within agencies but also in helping large companies and startups to utilize human centric design thinking. She uses strategic design thinking to create business impact for her clients. Prior to Hellon, Zeynep has worked as design director at Fjord, where she also helped building Fjord Istanbul office. She holds an MA in Industrial Design from Aalto University and has her minor in IDBM. Specialties: Design leadership, Design Thinking, Service Design, Innovation. Jaana is passionated about building enablers for growth companies to grow. She has Master of Economics and a long career in Nokia Networks as a recognized innovation driver and execution focused and independent global project leader in all the continents. Jaana also has experience in running design oriented business for 5 years as an entrepreneur and passion for digital marketing. Workshop: Performance through Passion – how can we work with energy and emotions? 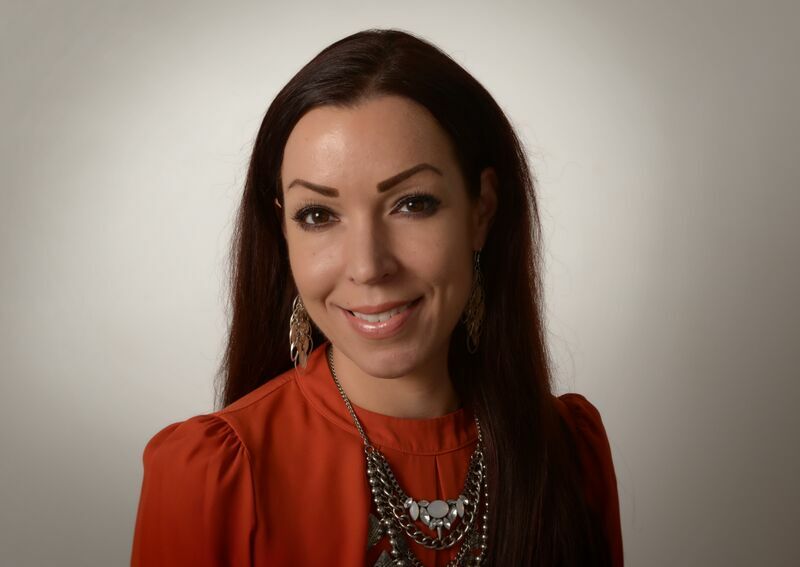 Christina Dahlblom, Ph.D., is an entrepreneur and leadership coach, working with leadership and organizational development. She uses latest findings from positive psychology, neuroscience and leadership research to challenge and support her customers to use more of their potential. Girls in Tech Helsinki Mentoring Program wouldn't be possible without the collaboration of the following organizations. For that,thank you! Would you like to sponsor our Mentoring Program? Contact us and let's talk!